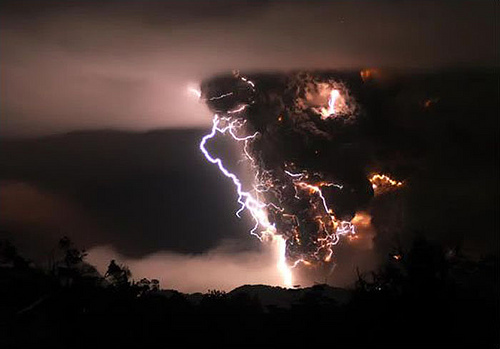 Eye Candy: Chilean Volcanic Thunderstorm | OhGizmo! Live Lobster Claw Game – Come On, Lobstey! No gadgets here, just some incredible pictures of the eruption of Chile’s Chaitén volcano. The plume of ash is thought to generate enough static electricity to cause what is called a “dirty thunderstorm” in the same way that colliding ice particles provide the juice for regular thunderstorms. Three more amazing pics, after the jump. Only nature can create such fine eye candy! i wish there was a vid of it. Heh, there’s electricity, and there’s blinking lights. It’s still a gadget, just a very big one. Way cool. 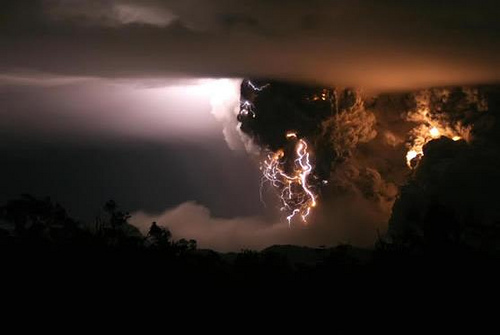 A volcano eruption AND lightning bolts. Excuse me now, watching such displays of raw energy always gives me the urge of rubbing my hands together and laughing like a maniac. that photo is by the US secretary of commerce???? Anyone know if it is possible to get higher res versions of any of these images? Would make a great wallpaper. Anyone know where you can find higher resolution version’s of these photos? They are AMAZING. the pics are impresive, but the people who live there loose all the thinks they have. home, farm, a life. mean while possibly another 100,000 perish in myanmar, and a million displaced. 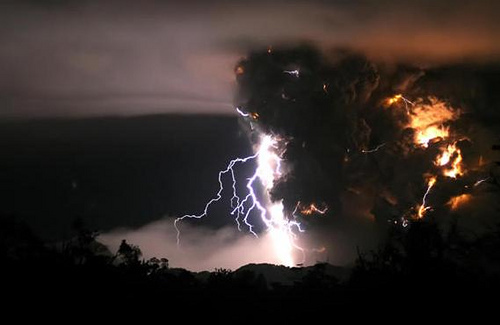 a volcano erupting in a remote part of chile is hardly a tragedy in comparison. chile will help their own. myanmar hasn’t helped their own in the past and most likely won’t help now. Everyone complaining about this – if you live by a volcano, you blame yourself. You COULD always MOVE. The risk is constant. Where can i get a hold of the original hi resolution images? I want to make some prints for the wall. Contact me plz! Yes please, post a link to high resolution versions. I can host them if noone has bandwidth, just send me an email with the url to the original photos and I will post a link back to my site. why didnt he film it? every digital cam now a days has got that function. Damn thoose pics was awesome…!!! Every digital cam has film function? Can’t say I’ve seen many digital system cams with that function. By the looks of these photos I’d say that filming was not an option in this case. If the pics are even real. looks like out world merging with earth realm! holy crap we’re all gonna die!!! My gahwd what an awesome site. Makes my northern lights story seem quaint. Allah is great ! Admire the creations of the Almighty Creator ! if five years ago you had told me I’d be solving the world’s energy crisis with lightning from a volcano, i’d have said you’re crazy mister! Really? I’d say your lack of empathy isn’t a tragedy compared to people losing their lives but you’re still a jackass. I have spent no less than 40 hours studying these photos, they are absolutely gorgeous in appearance, and in a funny way pleasing to the eye. There is another picture that is not posted on this site you must see, it is blue/grey in color with the static lightening (green) running thru it, an awesome photo. Never before in the history of man has something so breathtaking been caught on film or by digital capture. However, there is much more happening in all of these photos then what you have viewed thus far, perhaps some of you might already know what i am referring to….you know these photos to be a Chilean Volcanic Eruption that occurred on June 2, 2008…That being said I now challenge anyone and everyone that reads this posting to look deeper at the photos and to discover what this event is saying to the entire world…..if your like everyone that I know, you were taught that every picture tells a story, yes? 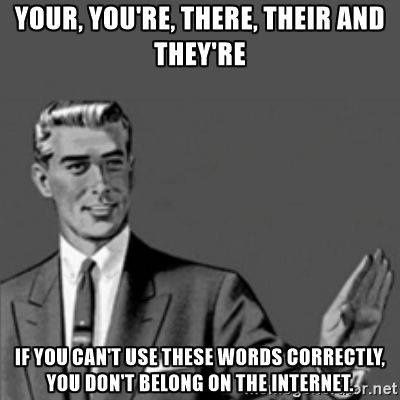 And you should have been taught that, after all it is a correct teaching. That is certainly the case here and of course why I am posting…..by the way I have never in my life written something like this and posted it on the web, but I have been compelled to do so. 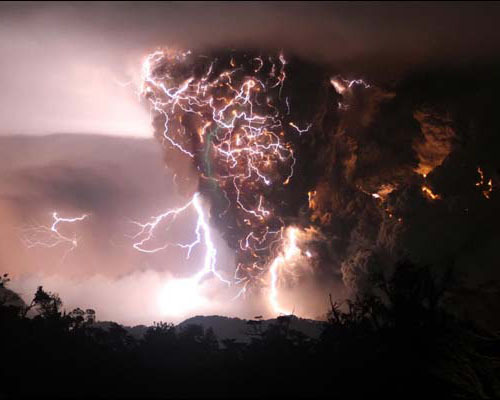 Metaphorically speaking, all creation has DNA, people, plants, animals, minerals, the earth and all things above and below, including a plume of smoke and ash from an active volcano impaled with static lightening. However, DNA from such an event doesn’t stay around very long unless it is somehow captured thru the taking of samples or in this case the capture was by way of photos. We have all seen CSI or shows like it, what does that DNA Lab Tech really do? He uses a scientific process to isolate collected DNA. He then sends this DNA thru a another scientific process that when completed will provide him with a conclusionary result….what do these results look like? They will ultimately appear in a picture looking like a bunch of lines and rainbow colored sections…. these results are literally a chemical map that can be displayed for comparisons and presentations….now here is what I am suggesting, when you re-look at the photo(s), do it in small sections, just as if you were cropping portions out of it, which isn’t a bad idea to do if you have the skills and software. When you begin to look small and deep you will begin to see individual images within the photo, these images will begin to appear right before your eyes, zoom in and out if need be. I will give you one example to send you on your way…in the 3rd picture from the top (see above) there is childlike looking face breaking out of the dark plume. Look at the top of the dark plume just right of the middle or locate it by finding the lighted area of the photo at the top that is surrounded by the dark plume…..the characteristics you will see are that it has a large forehead, eyes, nose and a mouth round about a head… Can you see it now, it is very distinct? If you can’t your in denial. Now all around this face (if you zoom in a bit) you will begin to see links (the type you would find in a chain)…Two (2) of these links appear to be coming right out of the top of the head (left and right side)…. they look as if they were pierced thru the entire top of the head….these links are connected to other links forming a connection that then wraps all around the face, continuing until there is a mass of them blending into one dark volcanic plume….it is as if this face or head has been placed in chains. In each of these Chilean photos you will find a multiplicity of other images even some symbols that when combined as one create a human picture that we know and can understand. Know that each item you uncover relates to one common theme that runs throughout, it tells a story from long ago about an event that has been in reserve for such a time as this…your journey is now started, please don’t complete it alone, allow the Author of our lives to complete it with you. If you would like to email me what you have experienced I would be grateful OR you may want to hear about my experiences first hand so please feel free to inquire, I can be reached at [email protected]. I would be glad to share my findings with you and even what I experienced 2 days prior to this calendared event taking place. Be enlightened for what you will be seeing when you look deep is very much real. this is cool where did you get the pictures? Heh, there's electricity, and there's blinking lights. It's still a gadget, just a very big one. great info. i needed it for my science article about thunderstorms. keep on informing us. ur great. Culture is defined by The American Heritage New american flag wallpaper Dictionary of Cultural Literacy, Third edition as The sum of attitudes, customs, and beliefs that distinguishes one group of people from another. Wanna love to mine ! Dude. That is insane. That's freaking awesome.